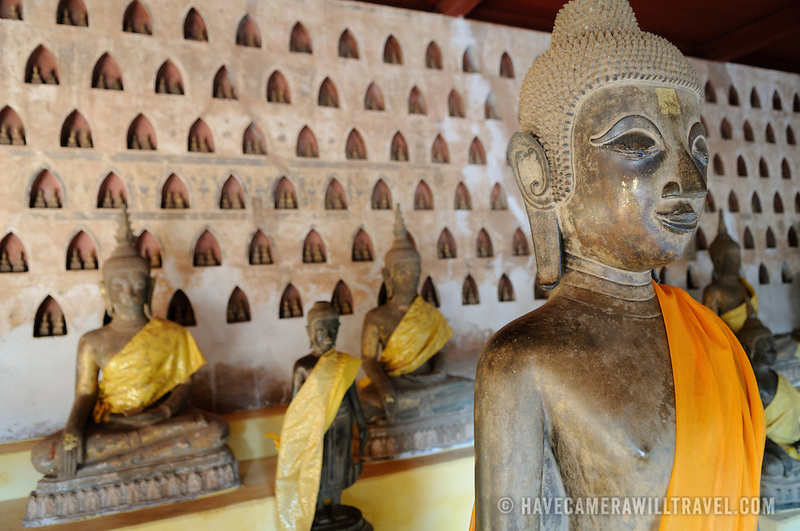 Part of a collection of approximately 2000 ceramic and silver buddhas on display in the cloisters at Wat Si Saket in Vientiane, Laos. Built in 1818, the temple is of the Siamese style rather than the traditional Lao style. It is now perhaps the oldest temple still standing in Vientiane.